TV show host, cookbook author Adam Richman is stopping by TODAY Food to share his top steak tips, techniques and recipe. 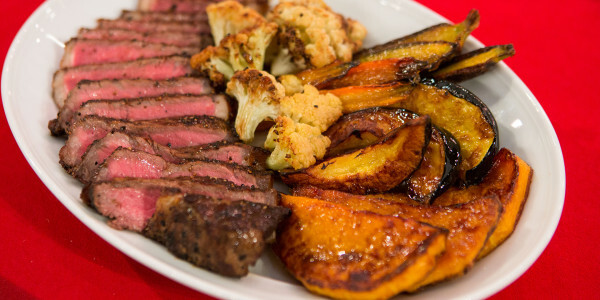 He shows us how to make perfectly cooked sirloin steaks with a savory red wine sauce. 1. Make sure steaks are at room temperature before cooking or you will burn the outsides while trying to bring the middle to temperature. 2. When you place your steak in the skillet, make sure you hear that sizzle otherwise your pan is too cool. 3. To test for doneness, use the hand technique. Touching different fingers to your thumb and feeling the webbing of your hand will help indicate the level of doneness. Touching your pointer to thumb is rare, middle finger to thumb is medium-rare, ring finger to thumb is medium and pinky to thumb is well done. 4. To get a great crust on your steak, use either a cast iron or stainless steel pan. When done cooking, cast iron pans can simply be drained, wiped and put away rather than washed because this 'seasoning' helps create a non-stick surface. 5. Reverse searing a steak (slow-cooking the meat and finishing it with a sear in an extremely hot pan) can result in a better crust a deeper flavor. 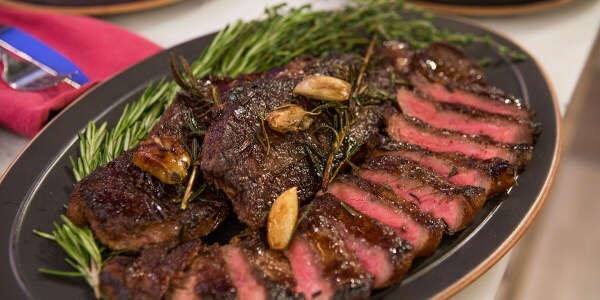 Simply season your steak, let rest for 30 minutes, after which you put into a 250°F oven for roughly 1 hour. After 1 hour, sear the steak just until a crust forms on each side. 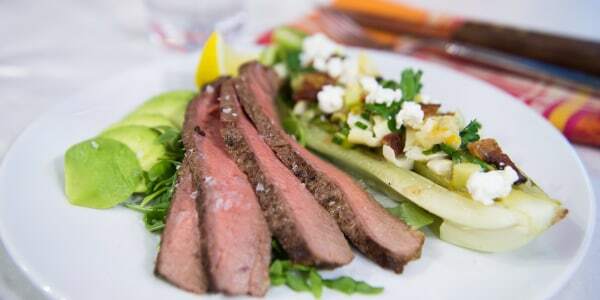 Technique is the secret to perfectly cooked steaks. Season them liberally, let them sear, baste them with butter and let them rest. These easy steps will result in perfectly cooked meat every time. And, you can make a delicious sauce in the same pan while the meat is resting.